Whether you are looking for humor or looking for horror, Brooks’ books are sure to be the ticket. World War Z will open the window into what this world is going to look like after the said Zombie Apocalypse, where as The Zombie Survival Guide will give you a good resource for how to survive a zombie attach and will give you good laugh as well. On a more serious note, “they” say the Rapture is coming tomorrow, so that is something to be aware of. 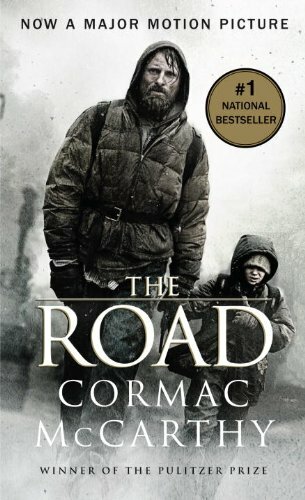 If you are looking for a more realistic look at what our post Rapture world is going to look like you may want to turn your eyes to The Road by Cormac McCarthy. Talk about a haunting look into the future. Now I am not going to lie, this book is a little tough to get used to. In fact the writing style is so unconventional that I had to put it down the first time I tried reading it. HOWEVER, after rave reviews from my other bibliophilic friends, I forced myself to try it again. And I am so very glad I did. Grim, depressing, and downright scary, The Road teaches us to always have hope, even in the darkest of times. If you don’t have time before “The Rapture” tomorrow to read the entire book, I highly recommend the film that came out in 2009. Produced nearly scene for scene from the book, this film translated the original work impeccably. The acting is amazing, the art is profound. Another picture that was shot here in Pa. (not I am not a yinzer, I swear! this is strictly coincidence,) the abandoned mills and destroyed neighborhoods of Pittsburgh in correlation with the bleakness of Erie Pa. in the winter created a remarkable setting for this post-apocalyptic world. I was lucky enough to spend an evening chatting with “the kid,” Kody Smit McPhee during the filming and let me tell you, that kid is talented! And sweet! Him and his father were eating at the table next to my friend and I and we happened to start chatting with them. We talked all night. He was one of the smartest and friendliest 11-year-olds I have ever met, and his father was so personable and kind. My friend kept in touch with them for a while and we were even invited to the movie release party in New York. Unfortunately [for me and my friend,] the studio ended up pushing back the release date for the film for over a year, and we lost touch with the family.